To round out the perfect Cuban inspired menu, you must have a great cocktail. I enjoy serving a great Mojito. Mojitos are great in the summer or really, anytime. My recipe makes a pitcher and typically serves five drinks per pitcher. Years ago, I would make a pitcher of my Mojito’s for myself and my friend Sara and we’d drink them up while we floated in the pool in the warm, summer sun. You don’t need a pool or the sun to enjoy my Mojito Pitcher. Mojitos are great in the summer or really, anytime. My recipe makes a pitcher and typically serves five drinks per pitcher. Take the clean mint and drop it in the pitcher. Squeeze both limes into pitcher and with a muddler, muddle the mint and lime to press up the mint leaves but not break them up. Stir in rum and simple syrup. Fill the pitcher with Ice. Top with club soda. 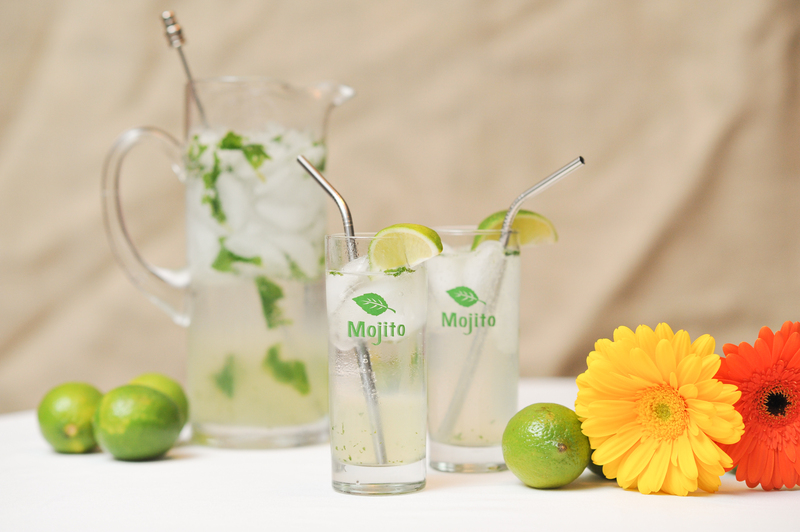 Serve in tall, skinny mojito glasses; garnish with lime wedge and mint leaves! Combine in a saucepan and simmer until sugar is dissolved.